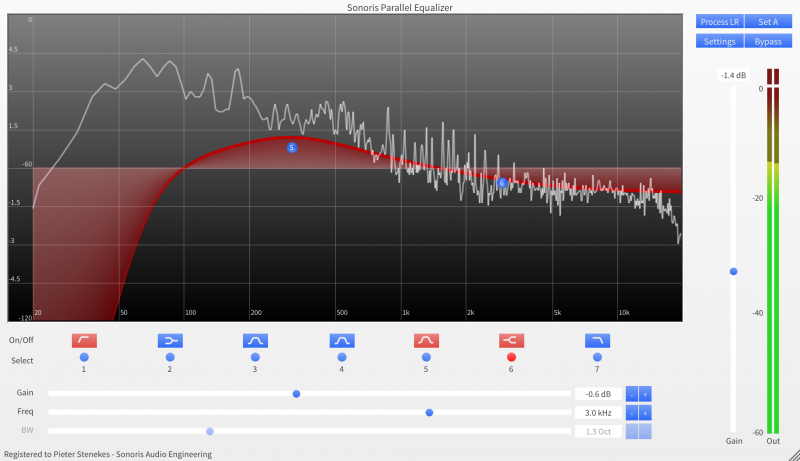 The Sonoris Mastering Equalizer is a parametric equalizer in VST, VST3, AU, AAX and RTAS format for Windows and Mac. It has selectable linear phase or minimum phase operation per band. The plugin is suitable for mixing and especially mastering and features 7 bands, including lowpass, highpass, peaking and shelving filters. The Sonoris Mastering Equalizer can be used to enhance or correct difficult material like vocal or instrumental soloists and groups, orchestral recordings and complex mixes, without introducing any unwanted coloring. 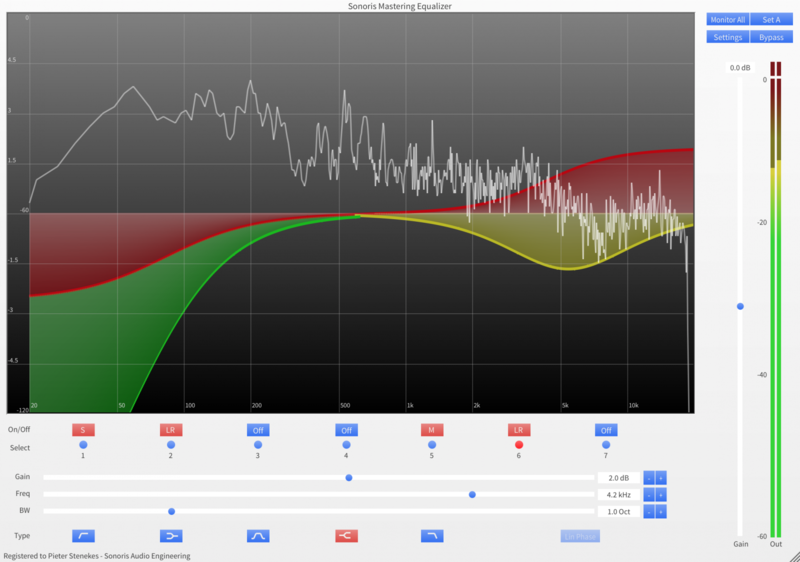 The linear phase implementation of the plugin ensures a transparent character and just boosts or cuts a frequency range without adding a “sound”. It doesn’t smear transients or create mud, nor does it alter the imaging and depth information of the original sound. This way it is possible to boost or cut more than with a conventional equalizer without any of these negative side effects. The linear phase algorithm of the Sonoris Mastering Equalizer is based on a technique called ‘backward-forward filtering’, until now only implemented in some expensive high end equalizers. The main advantage of this technique is that IIR filters can be used instead of FIR filters, the latter is commonly found in linear phase implementations. IIR filters are known for their more analog kind of filtering and are also more efficient than FIR filters. 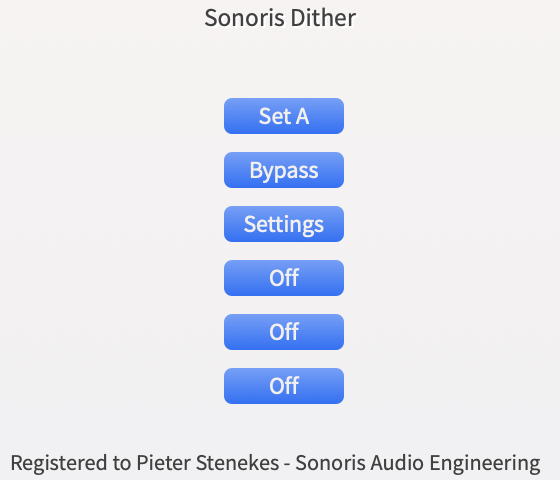 The filters used in the Sonoris Mastering Equalizer are actually the same as in the Sonoris Equalizer and also have correct gain up to Nyquist. Every band can be set up to process stereo, L , R or (M)id and (S)ide channels. Processing the mid or side information can be very useful in certain situations. In mastering for example, it allows you to enhance a centered vocal while leaving the other instruments untouched. Or to center a bass without losing the stereo imaging of the rest. Adjustment of is made easy because the SMEQ allows for monitoring the LR or MS channels. changed to your liking by dragging the lower right-hand corner. 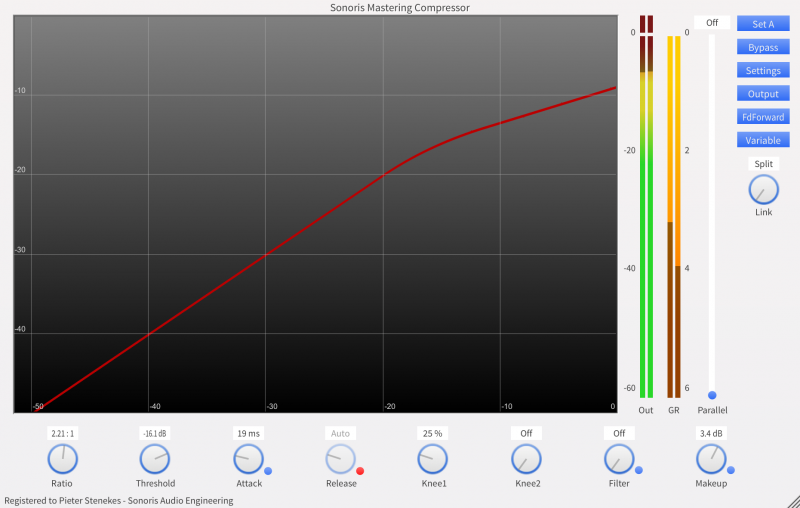 The Sonoris Mastering Equalizer has an automatic, as well as 2x, 4x or 8x manual upsampling mode. When upsampling, the plugin has an even more accurate response, especially at the higher frequencies. Equalizer mit umfangreicher Funktionsausstattung und gutem Klang.